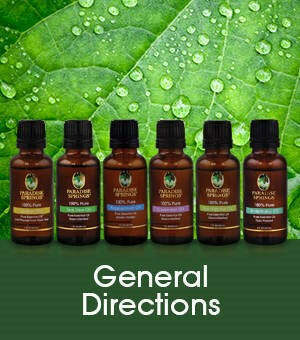 Paradise Springs Essential Oils are 100% pure, highly concentrated oils rich in natural, aromatic compounds. 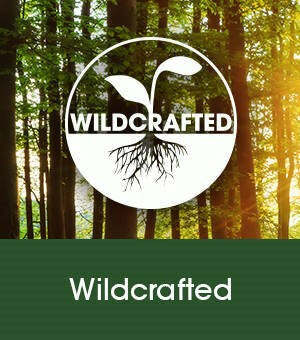 Known as wildcrafted, these compounds (also known as essences) are never chemically altered or synthetically modified. Found naturally in different parts of plants, these potent liquids are renowned for their therapeutic benefits, making them perfect for aromatherapy, skin care, and natural home-cleaning solutions. Includes six individual 1-ounce essential oils, plus a free DIY recipe guide. 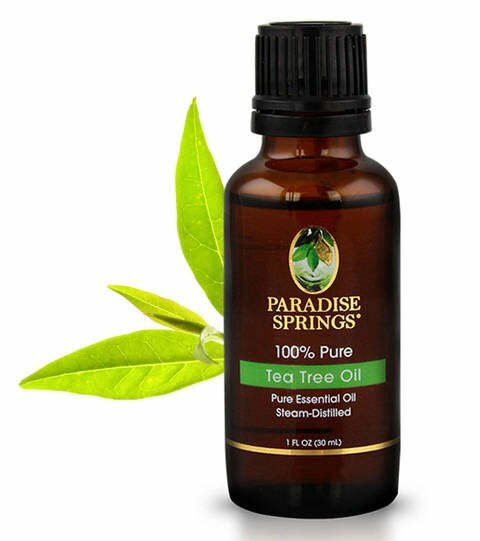 Paradise Springs Essential Oils are 100% pure, highly concentrated oils rich in natural, aromatic compounds. Known as wildcrafted, these compounds—also known as essences— are never chemically altered or synthetically modified. Found naturally in different parts of plants, these potent liquids are renowned for their therapeutic benefits, making them perfect for aromatherapy, skin care, and natural home-cleaning solutions. Long-regarded as a potential "cure-all" by native Aborigines, Eucalyptus Oil was first distilled in 1788, with the first works of the antiseptic and anti-bacterial properties of the oil published shortly thereafter. Traditional household remedies use both the leaves and oils for its therapeutic benefits, aromatic properties, and antiseptic properties. 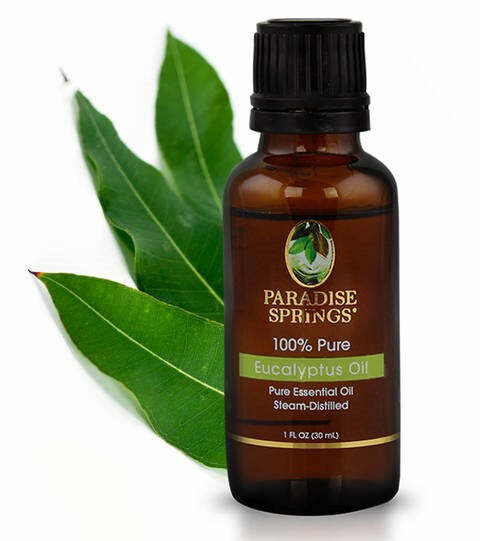 Historically used for its powerful and natural therapeutic qualities, Eucalyptus Oil is both an antiseptic and analgesic. Boasting a refreshing scent with a cineole-rich and slightly camphoraceous smell, Eucalyptus Oil blends well with other essential oils such as Lavender Oil, Lemon Oil, and Tea Tree Oil. Lavender is a flowering plant of the mint family known for its beauty, its sweet floral fragrance, and its multiple uses. 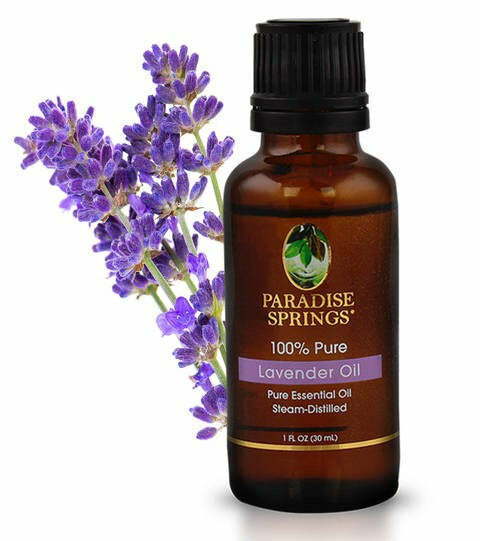 The soothing floral accents of lavender make this essential oil great for aromatherapy. Lavender Oil is extracted from the flowers of the lavender plant, through steam distillation. The naturally fragrant flowers of lavender have been used for making potpourri and perfumes for centuries. This oil is very useful in aromatherapy and many aromatic preparations and combinations are made using Lavender Oil. Lavender Oil blends well with many other essential oils including Eucalyptus Oil, Rosemary Oil and Tea Tree Oil. Today, Lavender Essential Oil is frequently used in various forms including aromatherapy oil, gels, infusions, lotions, and soaps. Lemon Oil is extracted through cold expression from the Citrus limonum. This clean smelling citrus essential oil has a sharp, fresh smell nearly identical to the fruit from which it hails. 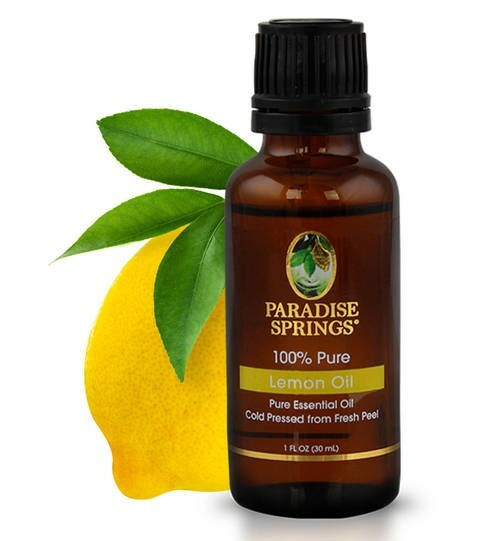 Historically, Lemon Oil has a reputation for working synergistically on a therapeutic level, with its delightful scent important to counteracting blends with a traditionally medicinal scent. Recognized for its antimicrobial and antiseptic properties, Lemon Oil hails a wide range of therapeutic benefits, making this essential oil perfect for aromatherapy, massage oils, lotions, creams, and for use in antiseptic cleansers around the home. This essential oil blends particularly well with Lavender Oil and Eucalyptus Oil, making for an endless array of wide-range uses. Peppermint is one of hundreds of species in the genus Mentha which also includes spearmint, water mint, and forest mint. While some claim peppermint was not cultivated until the 18th century in England, peppermint is referenced in ancient texts, making this essential oil one rich in history and uses. 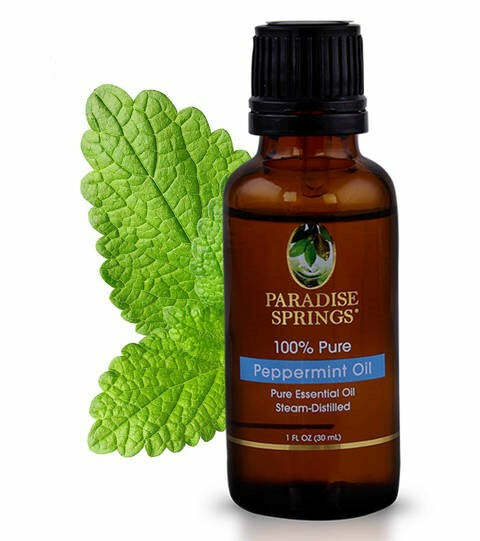 Peppermint Oil is extracted from the flowering herb of the plant just before maturation by steam distillation. There are many therapeutic properties to this distinctive essential oil, including antiseptic, astringent, and stimulant properties, making this oil perfect for aromatherapy, soaps and lotions, and antiseptic cleaners among its therapeutic benefits. Rosemary Oil has a clear, powerful refreshing herbal smell, cold pressed from the flowering herbs of the shrubby evergreen bush, making this essential oil an excellent stimulating oil rich with therapeutic benefits. 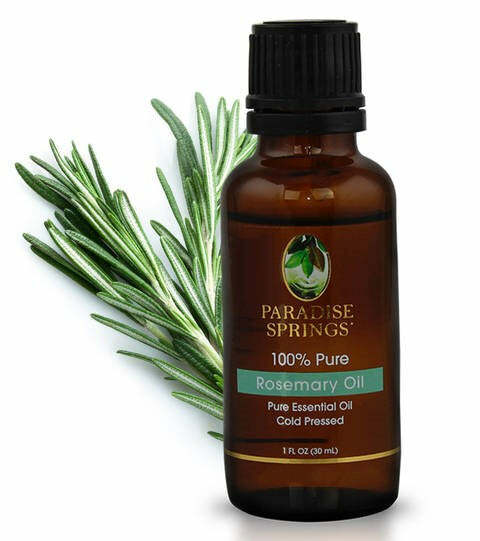 The revitalizing scent and antiseptic properties of rosemary make this essential oil perfect for aromatherapy and use around the home and garden. While Rosemary Oil is soft enough to blend with a range of essential oils, it blends particularly well with Lavender Oil and Peppermint Oil. Whether blending Rosemary Oil as a massage or bath oil, using it in creams, lotions, or shampoos, or utilizing its other therapeutic benefits, Rosemary Oil is an excellent addition to any essential oil collection. Tea Tree Oil has powerful antiseptic properties that may be used as a natural cleanser. Steam distilled from leaves and twigs, Tea Tree Oil originally came from small trees native to Australia. Extracted from the needle-like leaves of the tree, Tea Tree Oil has a lightly spicy, cleansing scent and has been long used by Aborigines for a variety of therapeutic benefits. Tea Tree Oil is often found in soaps, creams, lotions, and disinfectants, making this essential oil perfect for aromatic uses and therapeutic uses that range from antimicrobial to antiviral and sudorific. The strong scent of Tea Tree Oil blends well with the lighter scents of Lavender Oil and Rosemary Oil, to name a few. 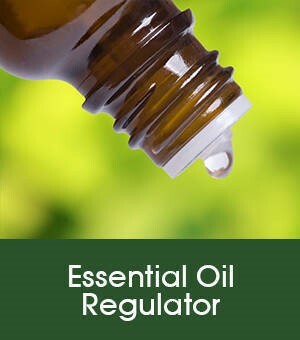 General Directions: Mix a few drops of essential oil with water, massage oil, or lotion. Can be added to baths, potpourri, room diffusers, or personal fragrance. Keep away from eyes. Not for internal use. Keep out of reach of children. Essential Oil Regulator: Paradise Springs Essential Oils feature a regulator cap to control the flow of oil out of the bottle. Each oil is highly concentrated and, therefore, only a few drops are required at a time. The regulator helps control usage for easy blending and diluting.